St.James’ Park is one of the many green spaces in Southampton managed by Southampton City Council. It is located in Shirley, Southampton, bordering Winchester Road (the A35) and not far from Southampton General Hospital and Southampton Common. Originally known as Shirley Recreation Ground (or “Shirley Rec”) and spread over 2.3 hectares, the Park was bought by Southampton Town Council (as it then was) in 1907, and was first opened to the public in 1911. It has a rich history including military and social use, and is now well used and valued by local people. Working closely with Southampton City Council, in October 2009 Friends of St.James’ Park (FoSJP) was awarded a Heritage Lottery Fund grant which between July 2010 and July 2011 transformed the Park, providing a new café and community room, new entrances, botanical and scenic walks, new landscaping, and new play facilities for children and adults, to bring the Park into the 21st century. Visit our Where is the Park? page for details of how to get to St.James’ Park. Visit our Park History page to find out more about the history of St.James’ Park. 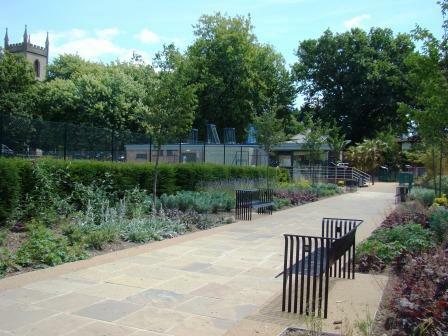 Visit our Restoration & Improvements page to find out more about how the Park was transformed. Six years of hard work culminated in July 2012 with St.James’ Park winning a prestigious Green Flag Award. The Green Flag Award scheme is the national standard for parks and green spaces in the UK, recognising and rewarding the best green spaces in the country, encouraging the achievement of high environmental standards, and setting a benchmark of excellence in recreational green areas. Click on the Green Flag Award® logo to find out more about this award. Friends of St.James’ Park and everyone who uses the Park. In June 2013, St.James’ Park was nominated in the Environment category of theNational Lottery Awards, and, when the nationwide votes were counted in August, took a very strong second place to a national charity, with over twice as many votes as the third‑placed entry. St.James’ Park was up against some very stiff competition, and we’re all very proud that our local community project took second place in a national poll. Many thanks to everyone who supported St.James’ Park’s application – those who organised the publicity, those who created the videos to show the difference that the transformation of the Park has made, and those who took the time to vote for our Park! Visit our Restoration & Improvements page to see the videos that were created. Visit our Awards page to find out more about awards won by St.James’ Park and FoSJP. 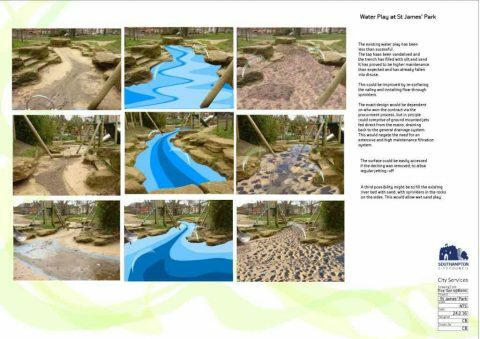 The “stream” is proving problematic – although we’d like to keep the opportunity for children to have water play, the current facilities need some alterations to make them work. The sand pit at the top of the hill is emptying quickly, as the sand migrates down the slopes, and access is difficult to keep refilling it. It has been suggested that the existing plastic decking across the entrance opposite the Café prevents wheeled access (pushchairs, prams, wheelchairs), and might be better removed and replaced with a continuous surface. 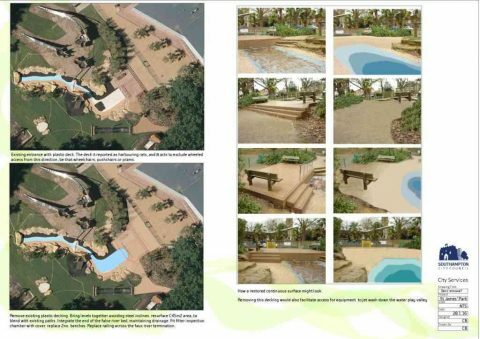 The plans below illustrate a range of options to counteract these glitches and improve the quality of the Young Play Area – click on each of the plans to see a full size version. 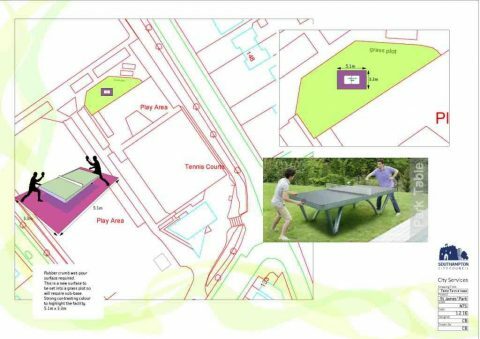 Also illustrated is the proposed location for a new outdoor Table Tennis Table! Thank you to everyone who submitted their views before the deadline of 1st April. 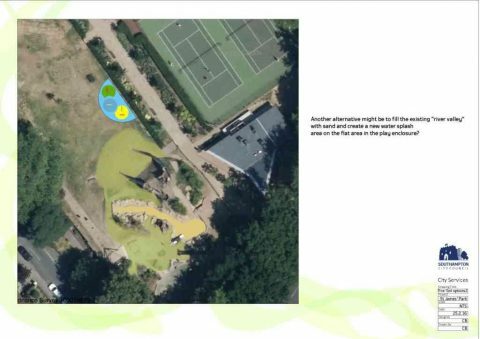 We hope to let you know when any improvement work is due to take place in the Park. Responsible dog walkers are welcome! 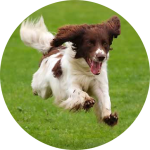 Dog walkers are most welcome to use St.James’ Park, apart from fenced‑off zones such as the Children’s Play Area. Please keep your dog on a lead and under control in the Botanical Walk area, to help protect the plants for others’ enjoyment. Please ensure that you clean up after your dogs, to help keep the Park fit for use by everybody. Thanks! There is currently no booking system for the Tennis Courts: simply come along and wait your turn to play. In busy times, when other people are waiting to play, please limit your play to 30 minutes maximum. If you’d like to try your hand at tennis on the courts at St.James’ Park but don’t have any equipment, FoSJP has a stock of tennis rackets and balls that you’re welcome to borrow from the staff at the ParkLife Café during normal opening hours. In May 2011, Southampton City Council issued an updated bench sponsorship scheme for all the city’s parks and open spaces. 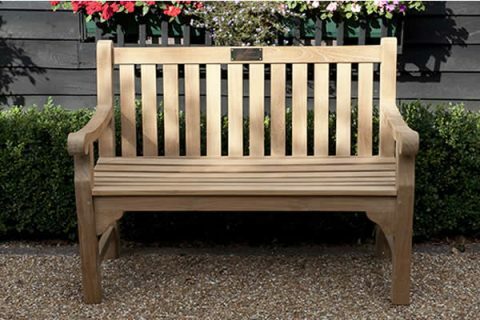 If you’d be interested in sponsoring a bench in St.James’ Park or anywhere else across the city, please click here to access the Commemorative Seat & Plaque Policy. For more information, please call Neighbourhood Services on 023 8083 2713. If you wish to report any problems with the Park or its equipment, please contact Southampton City Council’s Actionline on 0800 5 19 19 19 or via actionline@southampton.gov.uk. FoSJP has become a registered Charity! Happy New Year from FoSJP! 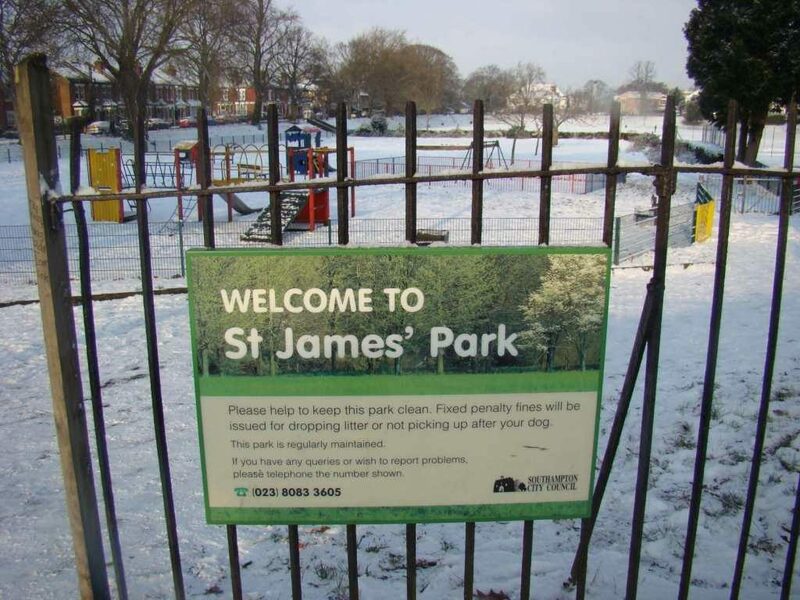 Friend of St. James Park started out as a community group that was established in 2006 to celebrate and enhance the life of St.James Park in Shirley, Southampton. In 2018 they got given the Charity status. Copyright © 2018 Friends of St.James Park. All rights reserved.